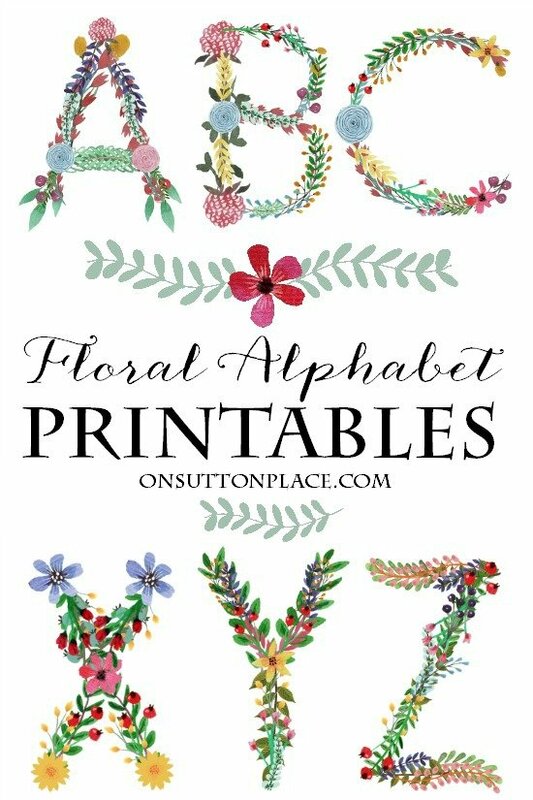 I’m so glad you are here today because I want to let you all know that the A to Z Floral Alphabet Printables I’ve been working on are now available. I have enjoyed every minute it took to put this set together. It was made with care and love…so I hope you like it! All the information in regards to purchasing, downloading and printing the letters can be found by clicking the blue button below. Please let me know in the comments if you have any questions. Thank you so much for stopping by and taking a look! I found your site some time ago, and I want to tell you how much I enjoy everything! Thank you so much!!! Thank you so much for taking the time to let me know…I appreciate it so much! is right off outside our kitchen sliders. I, also like the idea of planting things in unique & possibly found objects. I agree about the annuals as well, with the exception of red salvia, which we plant in 2 oblong terra cotta containers, that we place on both side of the deck entry. This was our third year doing that. What a pleasure it is to see them while we are having our breakfast through our kitchen sliders, and they are lush & full through the fall. These are really great. Is there a chance they will be available in JPG format so we can use them for more than just printing one sheet at a time? Thanks. 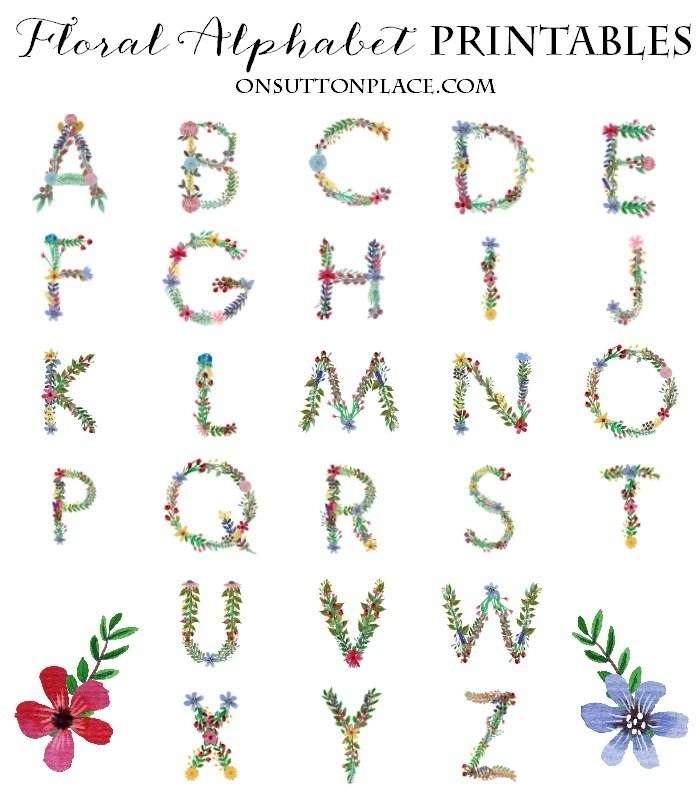 The floral alphabet is too cute, you did a awesome job on them. Those are so darn cute Ann :) You did a terrific job creating them and I know it took time to do. BEAUTIFUL! This alphabet is lovely and very clever. Well done. Thanks so much. I love these.. I am sure I can use them over and over the rest of the year. Just love you stuff. Got the LOVE poster too. Your the best. LOVE, LOVE, LOVE!!! Ordering 4 sets. These letters are amazing! I will be printing !!! They are simply gorgeous Ann! I love them. Ann, these are beautiful. Thank you so much for making and sharing. What kind of trouble did you have? Was it just slow or did it not connect at all? I’m sorry for the trouble…I tested it several times and had others test it too! They are great; thanks so much. 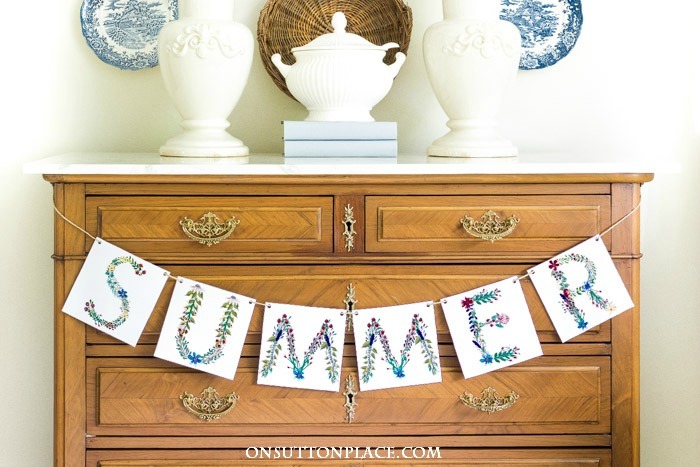 I have been thinking of ways to use them since you announced their impending arrival! ABsolutely beautiful. WHat a beautiful thing you have created. THank you so much. Wish there was another way besides Pay Pal to purchase. THere have been many scams regarding Pay Pal, and I am very reluctant to sign up with them.